The challenge we faced with the old pond was that the liner had cracked beyond repair, and as a result it wasn’t holding an acceptable level of water. 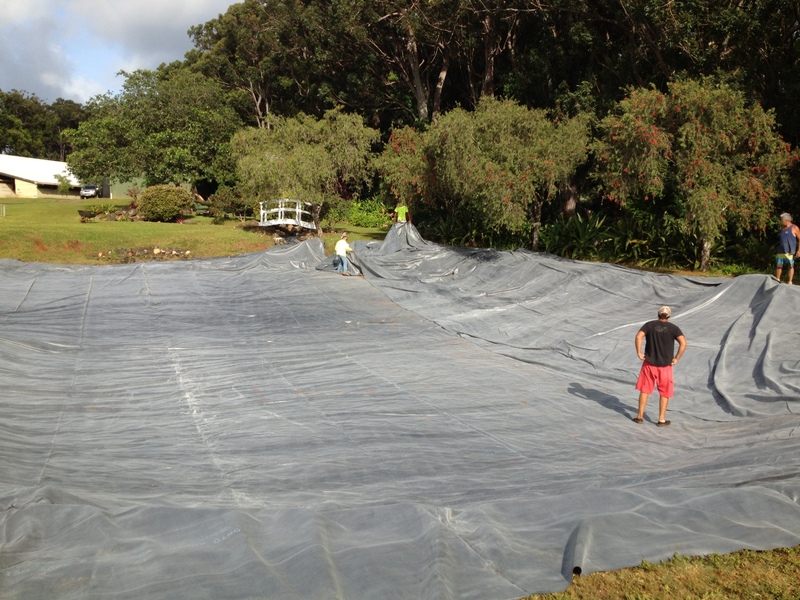 We therefore made the decision to commit to the expense of completely restoring the pond. 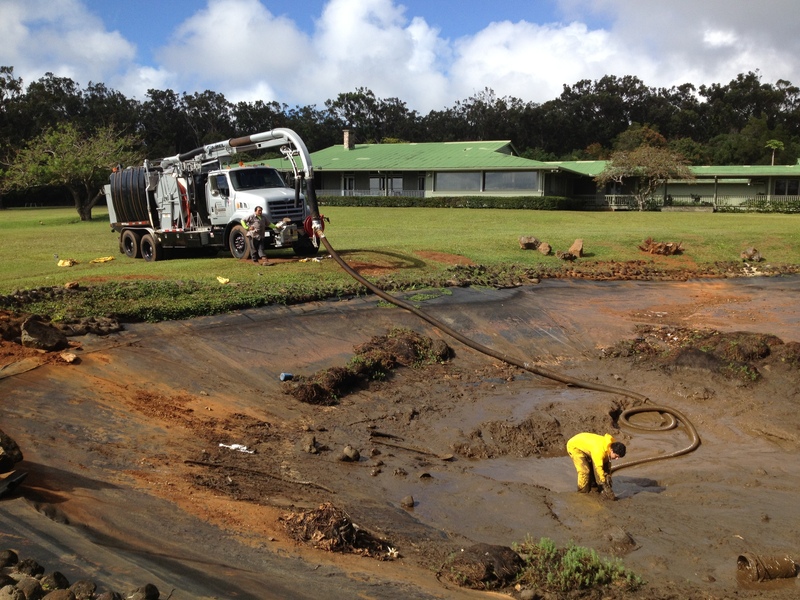 Once the pond was drained of water, we discovered it was full of almost 30 years of sediment. What did this mean? Sludge about five feet deep! 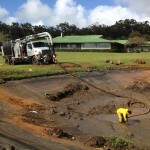 Consequently, we had to bring in industrial grade pumps to remove it all. No easy task. While this, along with other discoveries and unfortunate circumstances, presented us with what at the time seemed like insurmountable challenges; we eventually accomplished our objective of succesfully cleaning out the pond. 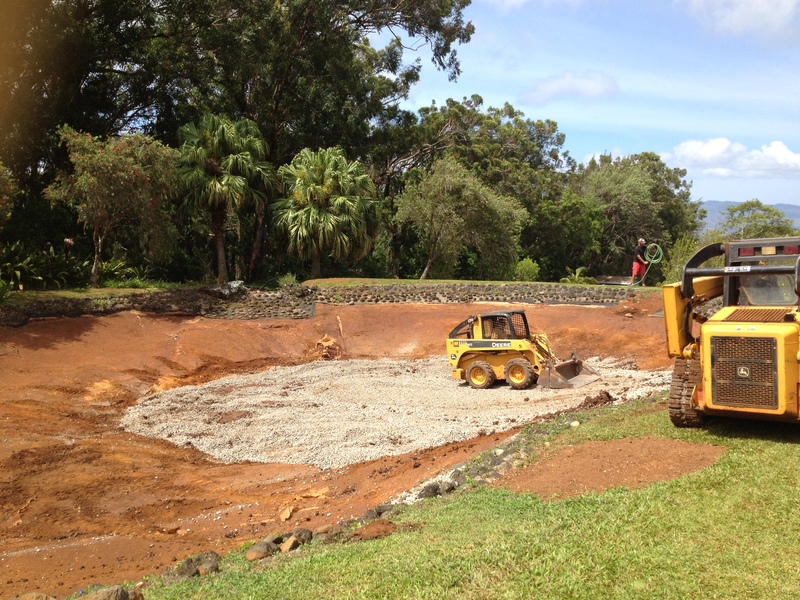 After the pond was emptied and the old liner removed, pond preparation included shaping of the pond contours and adding filler to the deeper section of the pond. 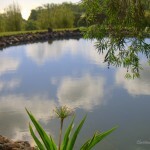 These efforts were made to create a more efficient and manageable pond. 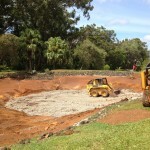 The pond was then ready for the new and improved liner. 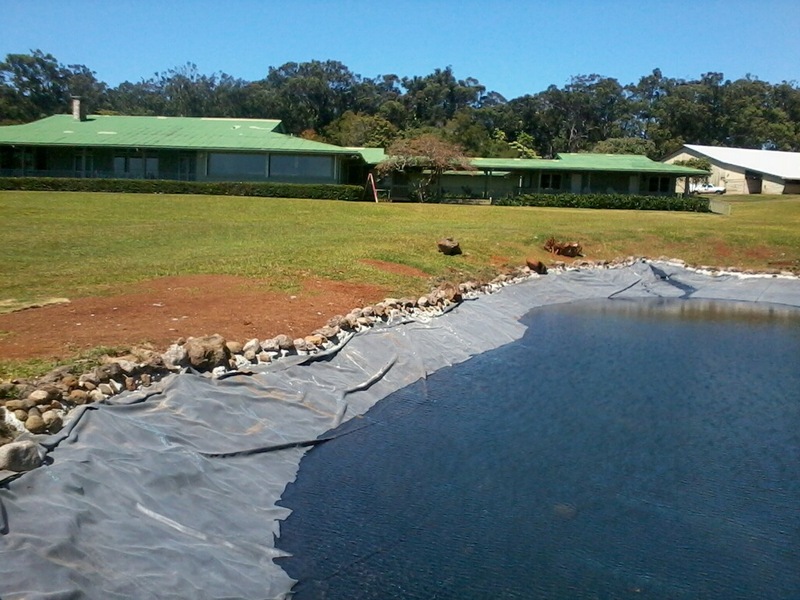 After careful installation, the liner seams were sealed and the perimeter of the pond was secured with cement and hand selected rock. 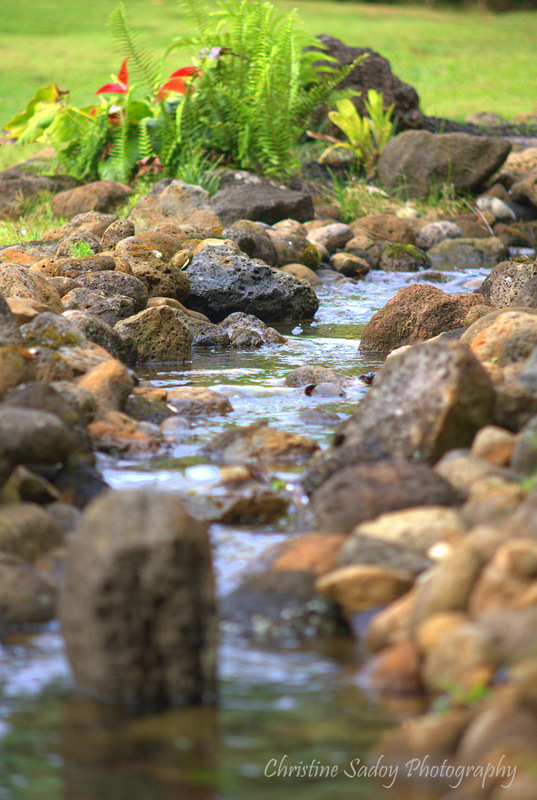 We brought in truck loads of rock to make certain that not only the entire pond was adequately sealed, but to insure an aesthetically pleasing design. 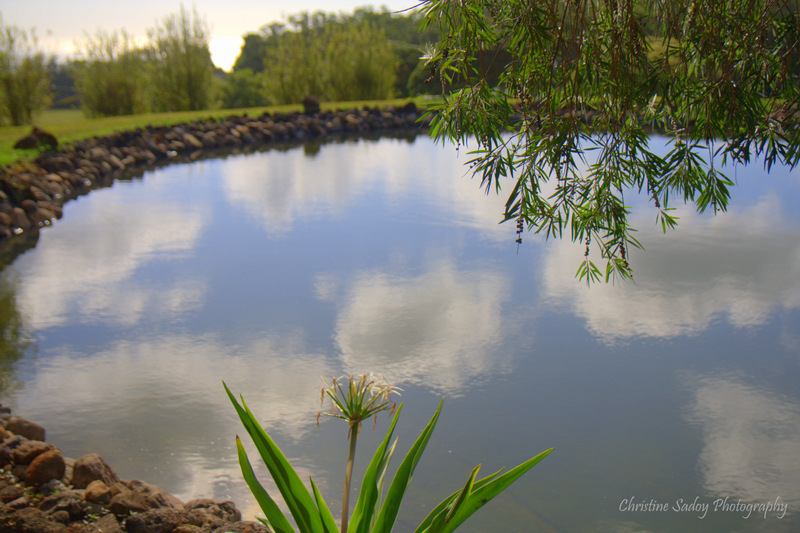 While filling the pond with water took longer than we expected; it was well worth the wait. 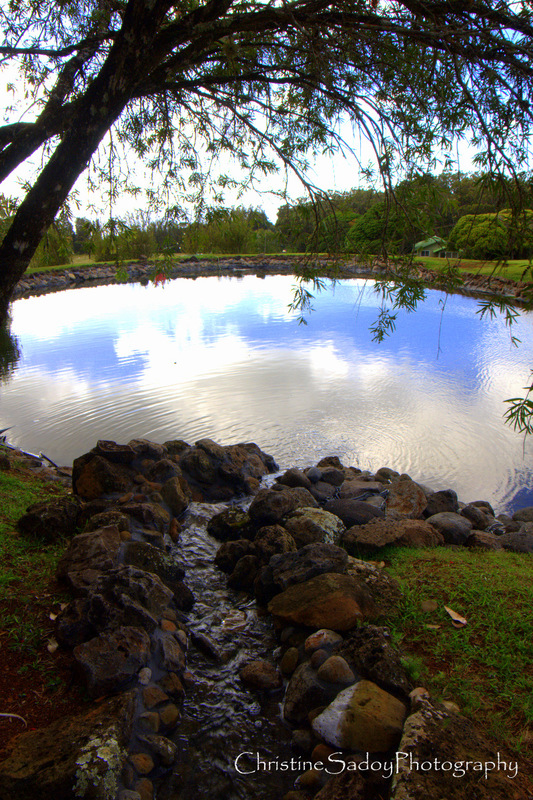 It was just so satisfying to see a pond FULL of water! 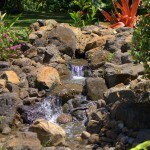 That said, once the pond was complete and full of water, our focus turned to the waterfall and stream. This element of the restoration, while not as challenging, did require quite a bit of work. 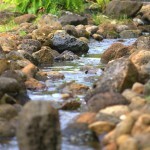 Specifically, this phase included creating a new waterfall and cementing the entire length of the stream with rock. 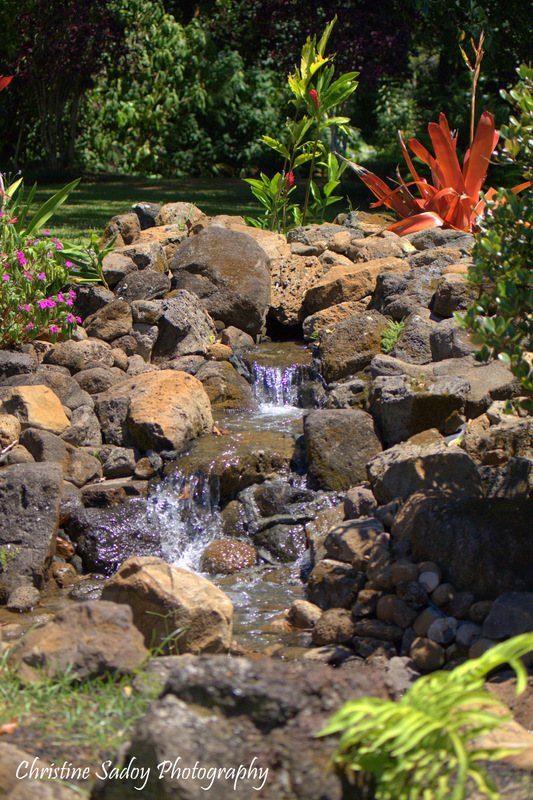 This has created a new and improved water feature that now runs along the entire south and southwest perimeter of the Charlie’s Pond venue. 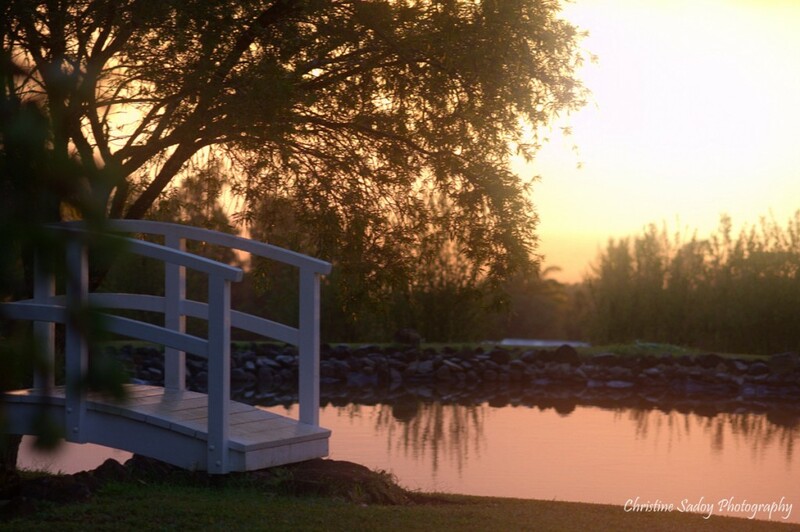 In summary, upon completion of the renovation of Charlie’s Pond, we successfully created a beautiful new feature at Sunset Ranch. 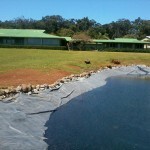 At the same time, we have created a site with which to conduct a small amount of fish farming. We’re very excited about this. Charlie’s Pond now holds approximately forty golden tilapia! Perhaps someday, with the proper monitoring and certification, we will include a few select Sunset Ranch tilapia in our event menus. We look forward to your visit to Sunset Ranch! 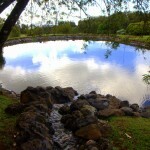 Schedule an appointment today to see the new and improved “Charlie’s Pond”! 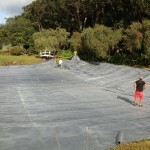 For more information, please feel free to contact us at (808)638-8333 or [email protected]. Mahalo nui loa!